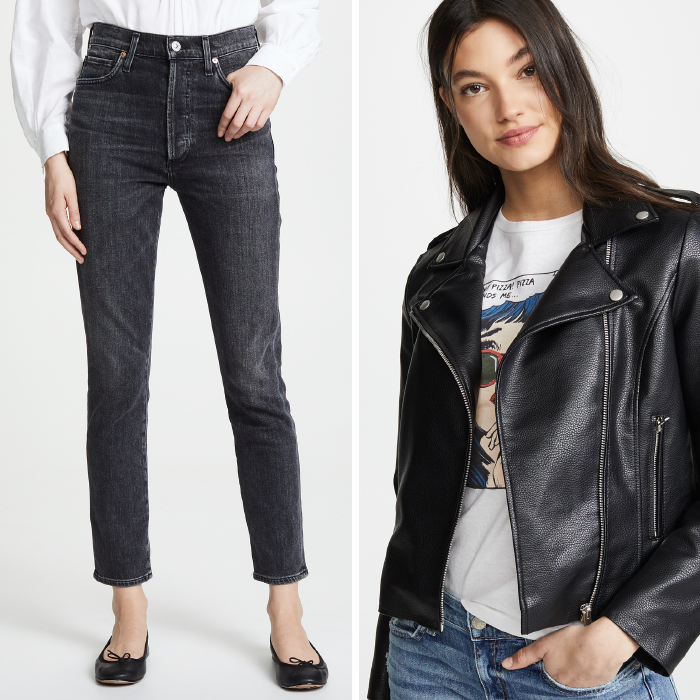 What are your everyday essential wardrobe pieces - for me one essential item in my closet would be my grey jeans (the other being probably my black jeans). I have found that grey jeans can be worn with so many things. I can actually find more ways to style my grey jeans sometimes than my regular blue jeans. 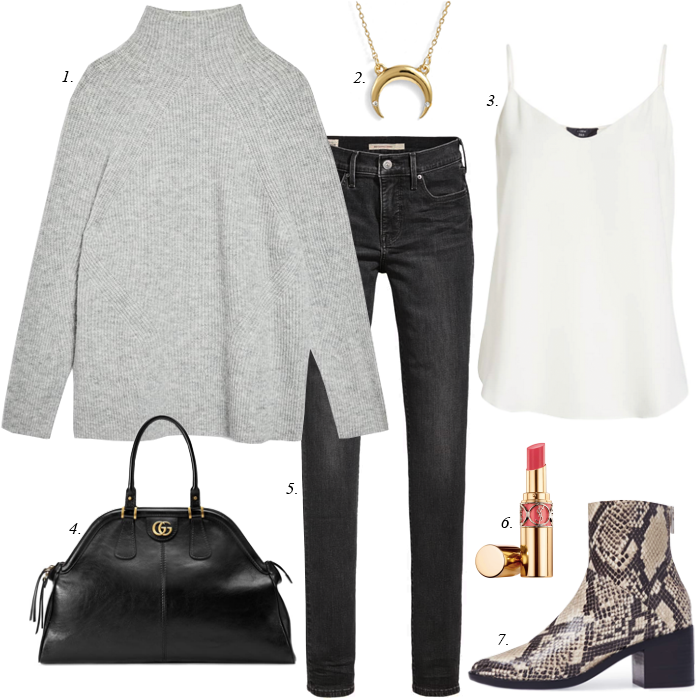 I love the idea of creating a monochromatic outfit with grey jeans and a grey sweater - and just a little pop of pattern in the snake print boots. I mentioned the other day that one of my favorite heels are my snake print ones because they are the perfect addition to a work outfit. And, the same is true for snake boots. 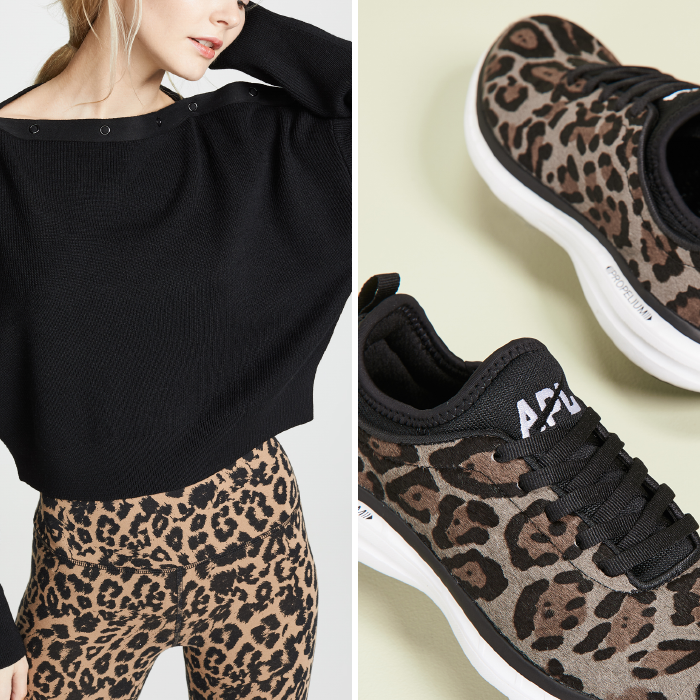 They compliment a casual outfit so well - and create both a trendy and chic look! You may have noticed that I love to style grey jeans. 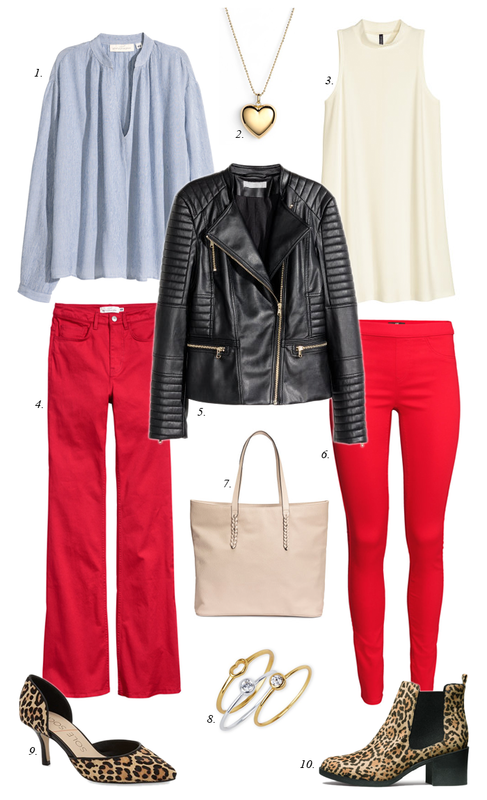 I have put together grey jeans outfits here (one of my favorites from last year), here (with a pop of red) and here (with a spring coral color) recently. My good friend, Gina, recently commented that she struggles on deciding what shoes to wear with grey jeans. I have found that most neutrals (black or cognac) and snake print look great with grey jeans. I have even been tempted to try white heels or boots with grey jeans. If you are looking for some new jeans for spring - I would highly recommend a pair of grey jeans. I think you will find you can style them many different ways. I love a dark grey jeans - don't you? 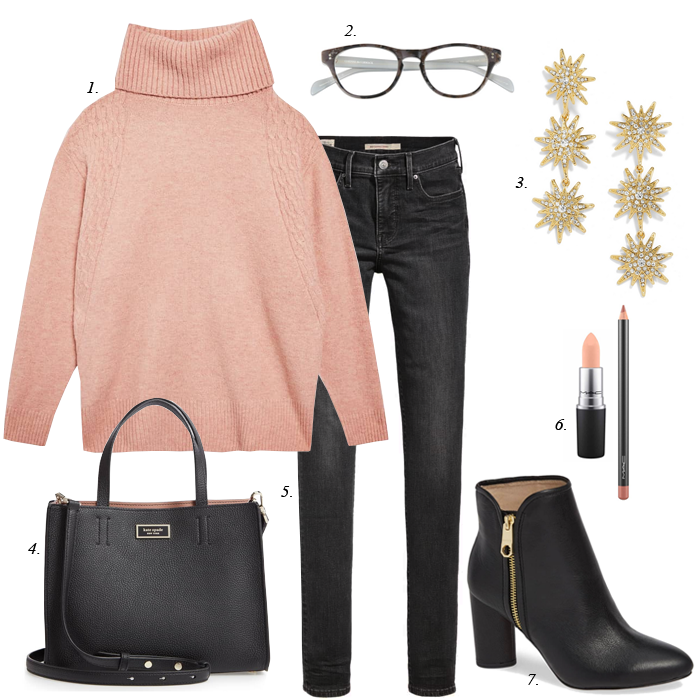 The other week I shared how to style a coral sweater with white jeans. You can see that look HERE. 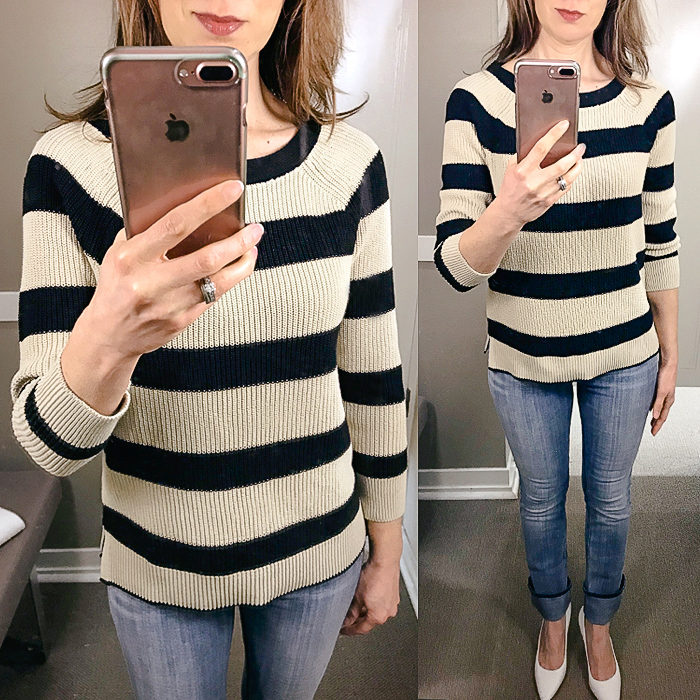 And, today, I am sharing how to style a coral sweater with grey jeans. I like both looks. What do you think? I have to say that black jeans are my staple jeans. I wear my favorite pair of black jeans weekly - and most weeks I wear them a couple of times. 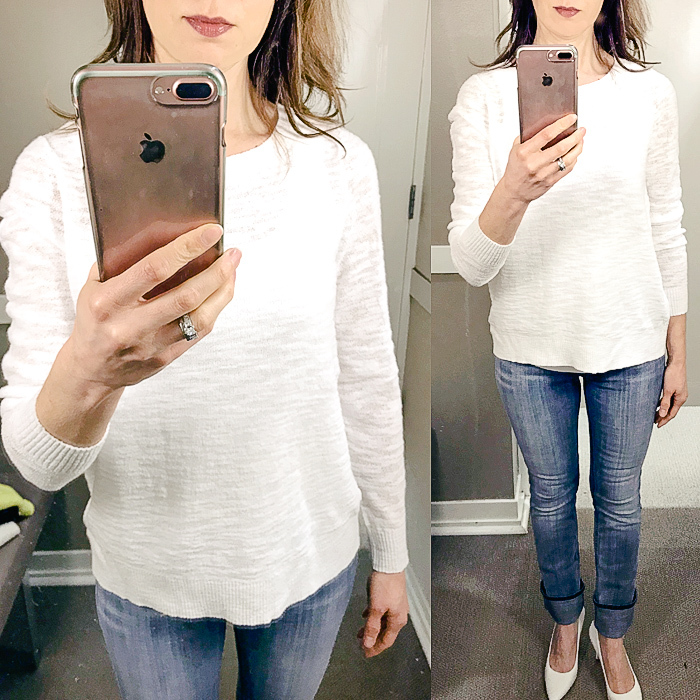 I also typically pair my black jeans with a white sweater or tee - just like the look above. Anyone else have a "go to" look they wear over and over? Right now, I am trying to find a few more winter/spring sweaters to get me through the last few months of "winter" since it will not be warm until probably June. I am getting so bored with my sweater options lately. I have worn my favorite sweater so many times - I do not want to wear it anymore. I bought a few sweaters lately - this striped one, this lilac one, this pink one - but they were all too big. I might re-order smaller sizes because I am still hoping to find some new favorites - for a great price. I hope you are having a great start to your week so far! There is a big "buy more - save more" sale happening right now. All the items above are on sale up to 25% off - and some are an additional 25% off the sale price! So, they are great deals - especially since a lot of those items rarely go on sale. And, this is the sale, the more you buy - the more you save. Use the code "GoBig19" for your discount! 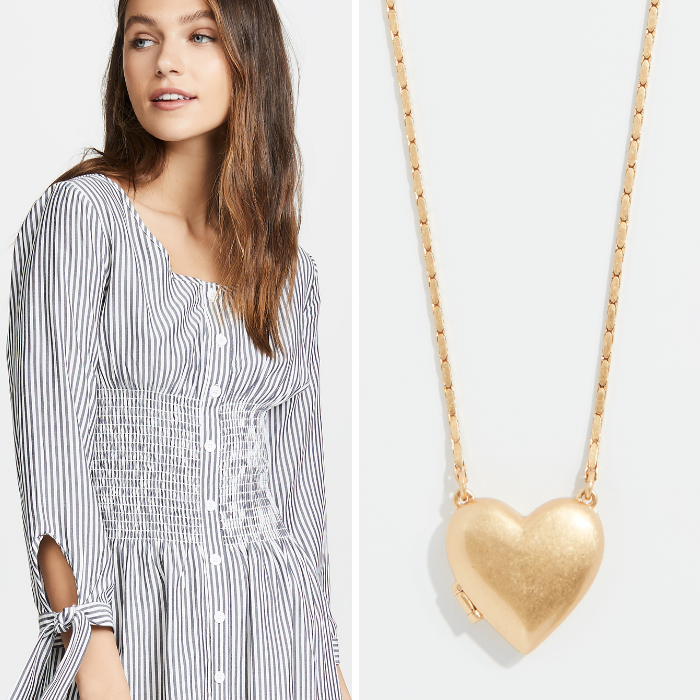 Shopbop is one of my top places to shop. If you have Amazon Prime, you can get 2 day free shipping, and even if you don't use Amazon Prime, they still have 3 day free shipping. And, they also offer free returns. With online shopping that is really important. I do not like to spend a lot of money on shipping, especially if something does not work out. 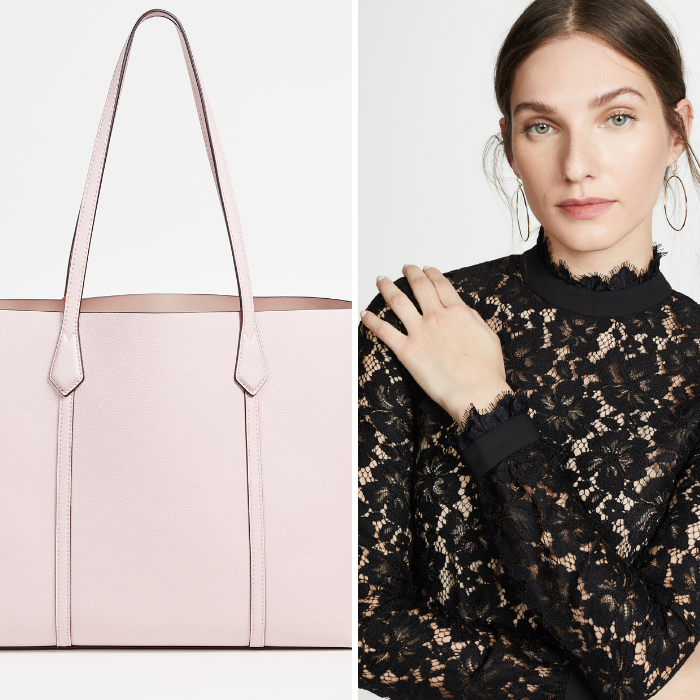 You may think that Shopbop is only high-end, expensive items, but that is not all they sell. They sell a lot of reasonably priced brands - like BB Dakota, English Factory, endless rose, and many more. Another reason I like to shop there is for their customer service. This is really important. I have never had any issues with ordering or returns, and any time I have had a question, they have been quick to answer. You can read what others have to say about their selection of clothes, quality of items, customer service, and their awesome customer satisfaction. I find more and more that I always like to hear what others are saying about where I am shopping before I shop somewhere new. Happy Sunday! I hope you are having a great weekend. There are some great sales happening that end tomorrow - so be sure to check them out! Winter sales are still going strong - and there are some great deals! 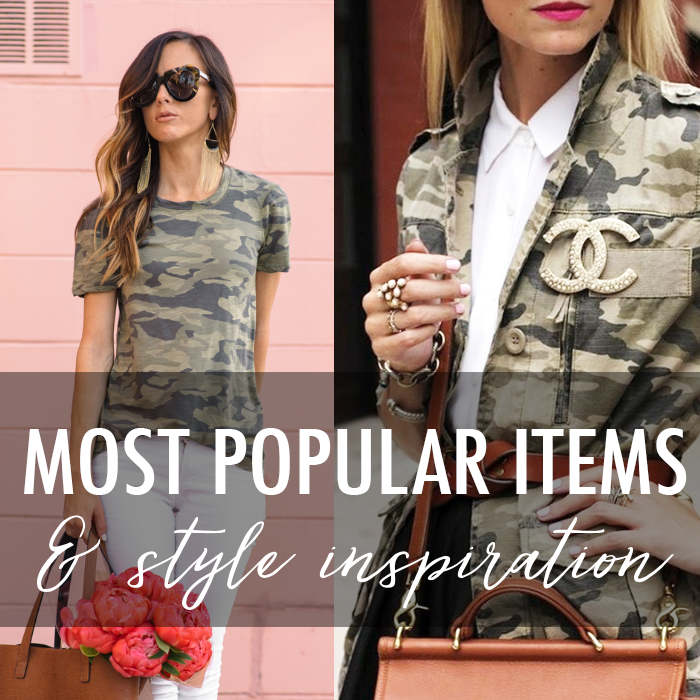 I found this $5 camo sweatshirt the other day - and I could not believe the price! I also found this camo sweater for under $20. Also, the new spring items are starting to roll into the stores. And, I am looking forward to some spring shopping. And if you are looking for a good movie to watch, I highly recommend Free Solo. I love climbing movies, and this one is really good. It is about Alex Honnold who scales the 3,200-foot El Capitan in Yosemite National Park without a rope. If you want an intense movie - with beautiful scenery - I recommend it. Happy Thursday. And, I am ready for spring! 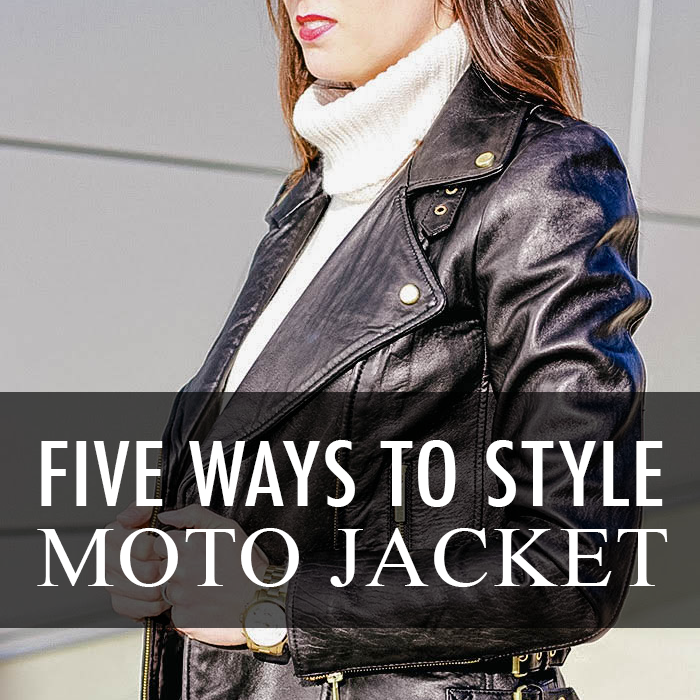 As I mentioned last week, my leather jacket is definitely a staple piece in my closet. I wear it throughout the year. In the winter, I layer my fur vest over it for extra warmth. I find I can style it with so many different outfits. I found this (faux) leather jacket for only $65, which is a great deal. And, I love the look of it! 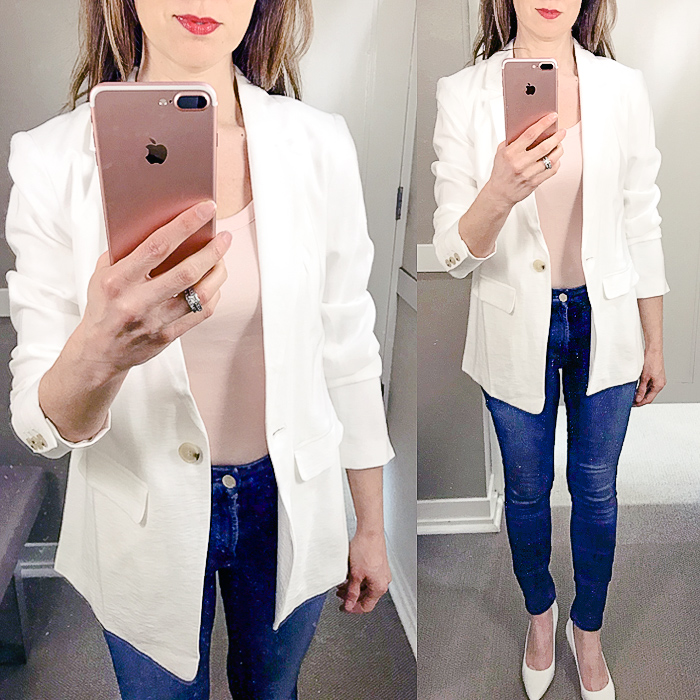 If you are looking for more ways to style the jacket, I shared more outfit ideas HERE and HERE. There is an amazing sale happening at LOFT right now. These deals are too good to miss at 70% off! And, they end today at noon! So - hurry! Finding both trendy and affordable workwear options can be difficult at times. I have found if I "invest" in a few staple pieces - it makes life a lot easier when getting ready for work. Plus, I really believe what we wear - gives us a boost in confidence. Some staples I have bought for work in the past are a satin blouse, like the one above, which happens to be 40% off, and some good fitting - classic, yet trendy pants. I'll admit it can be difficult to find pants for work. I have found most of my work pants at Ann Taylor and LOFT. And, when buying pants, my recommendation right now is to go with the trend of the "cropped" ankle ones. 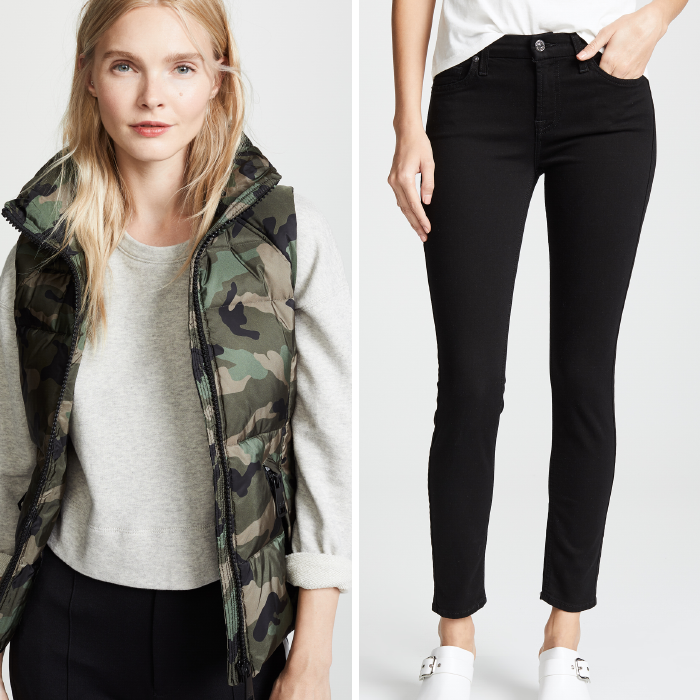 The fit o the pant and where the pant leg ends on this pair - is perfect. Those snake print pumps above complete this look. And, they are also 40% off! 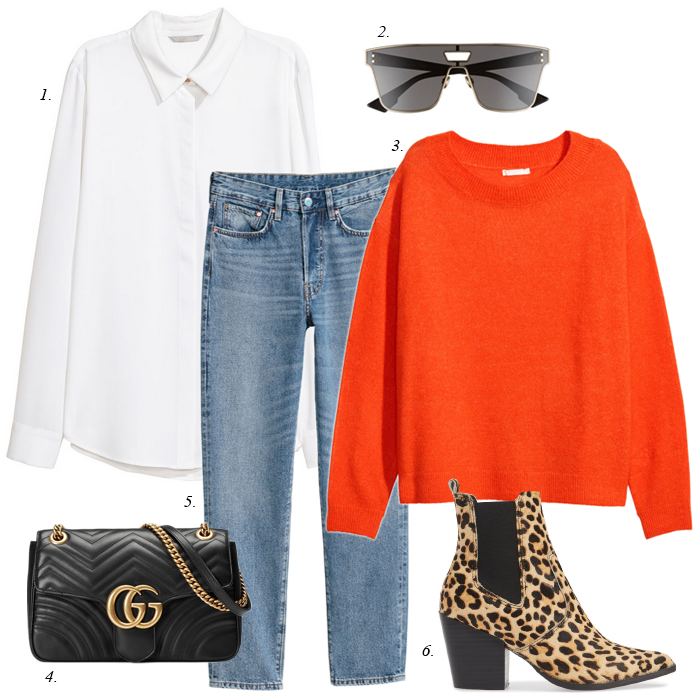 Plus, those snake print pumps would make a great casual Friday outfit by swapping out the white pants and black blouse for some dark wash jeans and an off white blouse like this one. I hope you are having a relaxing weekend! Here is another round-up of some great deals. There are some great weekend sales happening right now. Most places have everything on sale up to 40% even 50% off! Nordstrom is having their "Winter Sale" right now. There are great deals on clothes HERE (like this little "red" dress for 40% off), some great boots/shoes deals HERE and even handbags and accessories deals HERE. It's time to get those stock up on the last of the winter items! Here is a round up of a few of the find and deals that I found. I hope you have had a wonderful week. It has been a busy week for me, and I am very happy that it is Friday. I am looking forward to relaxing this weekend, and catching up with Project Runway All Stars, and continuing my re-watching of Downton Abbey. This week I tackled some big projects on my "to do" list, like erasing my entire computer, and re-installing the old OS in order to be able to install the new OS, and all the applications. Other than a flashing ??? (question mark) after I erased the hard drive - that was my only problem - which I was able to solve. I have installed most of my applications, I believe, and now, I am just finishing up my Lightroom and Photoshop presets, and some additional font installs. This process was long overdue - but I am so happy to have accomplished it! This is a long post - with a lot of great re-caps of my favorites of the week. I hope you make it through the entire post to the end! 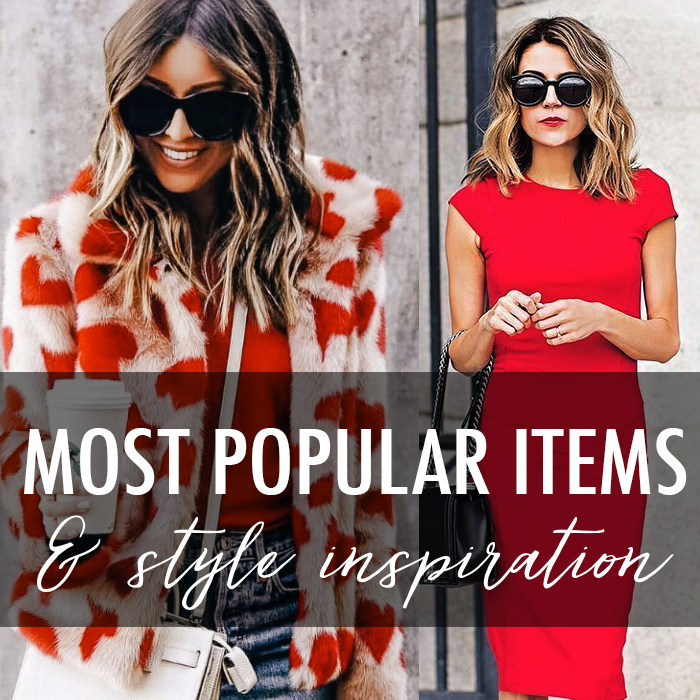 There are a lot of good deals - and outfit inspiration! 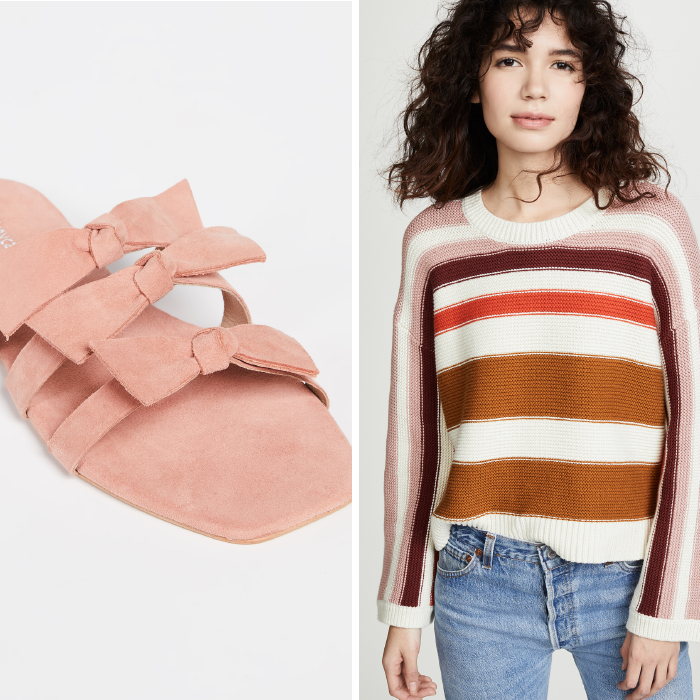 This $24 sweater - in great spring colors. This pink sweater I would like to buy. 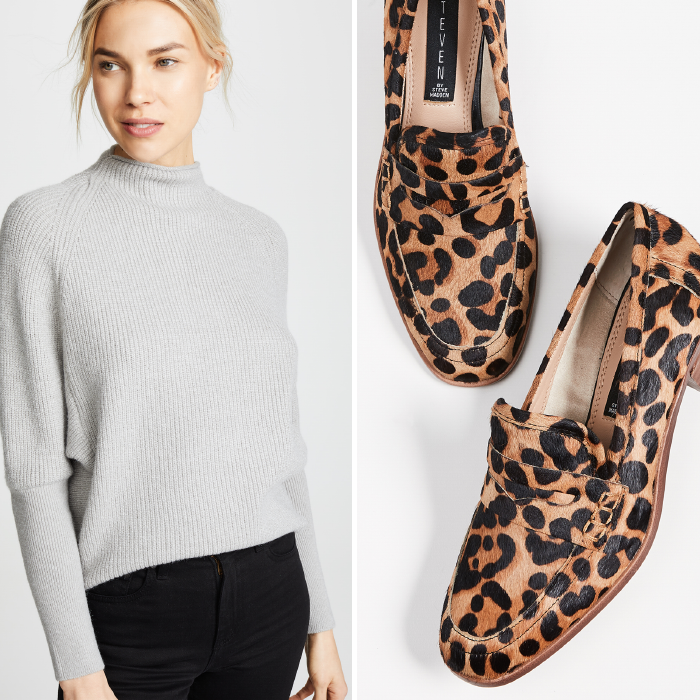 This leopard cardigan as low as $16. This funnel neck tunic for $23. These leopard booties are on sale for 40% off! And the flat heeled version is also 40% off. Did anyone else love this day when they were a kid? It was one of my favorite "school" holidays. For our Valentine's Day classroom party, we would all decorate our own "mailbox" with hearts and wrapping paper. Then everyone in the class would "mail" a Valentine card to our classmates. I always had so much fun opening up each card from a fellow classmate. I "loved" the day. Mostly because I loved craft projects, like making the fun mailbox. But, also, probably because it was fun to see what boy sent me a cute card! Anyway, with it being the day of all things red and pink, I thought I would share these red sweater outfits. 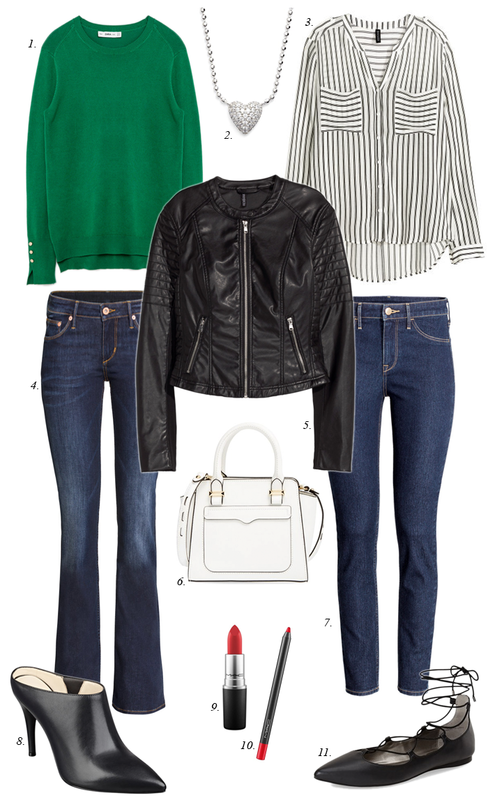 These looks show how to style and accessorize a bold red sweater. 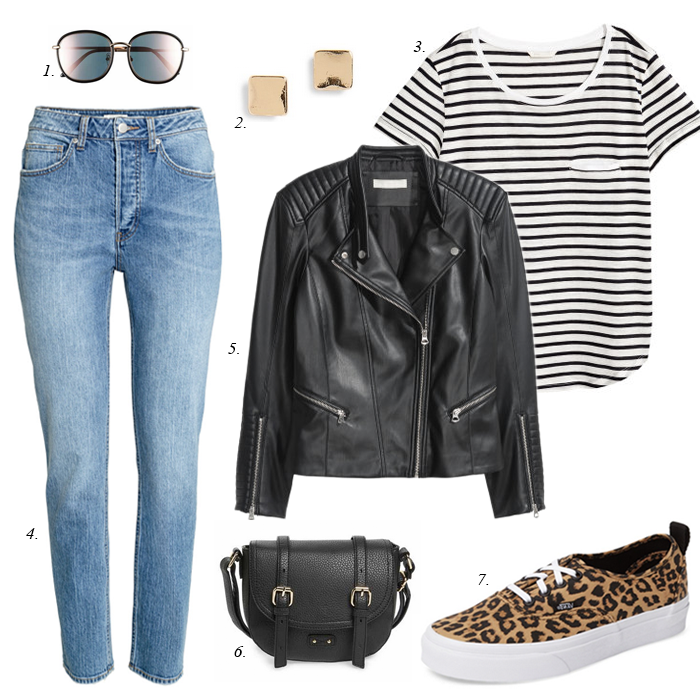 My favorite is mixing leopard with the red, but I also love denim on denim with the addition of the white shoes. And, right now, white booties and pumps, or any white shoe is very popular! The blush pink sweater and white skinny jean outfit today was inspired by my post on Friday. Since our style prompt today on The Blended Blog is today is to re-create a look from someone, and I thought I would use this outfit from one of the first bloggers I followed, Pink Peonies. Her personal style has two sides - one more edgy and the other more feminine. Personally, I prefer the edgier-side. For her more feminine side, she has launched her own design business and has created some beautiful pieces, like this lace blouse or this lace skirt that are both on sale for 70% off. 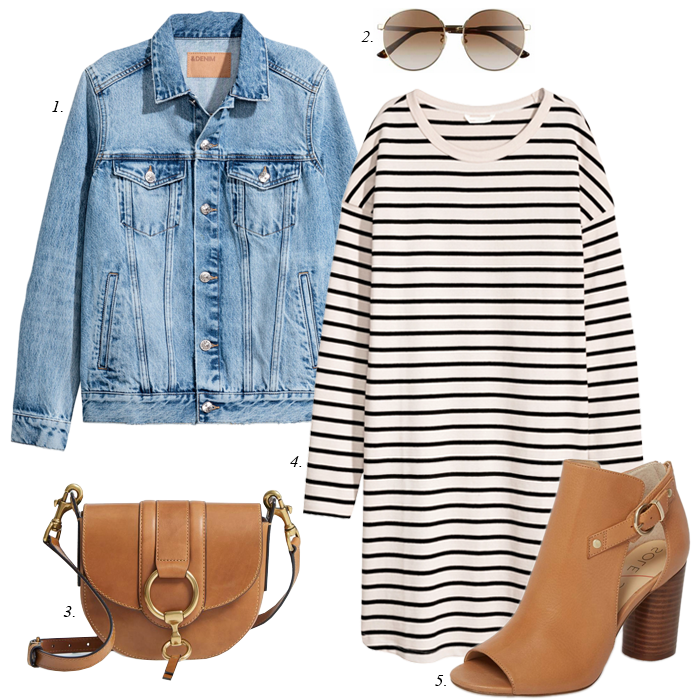 As far as this look, it is a perfect transitional outfit from winter to spring. 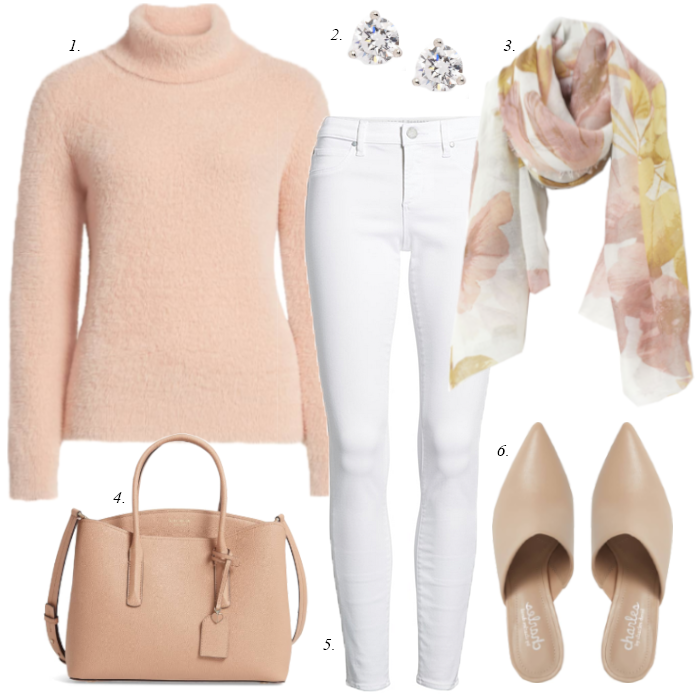 The lightness of the white jeans with the blush and the beige, and that floral scarf (that is only $10) brings it all together. And, if you are looking for a lighter-weight sweater to go with this look, I found this one that is on sale for $24. Last thing, be sure to head over The Blended Blog and see what outfits my fellow friends are re-creating. 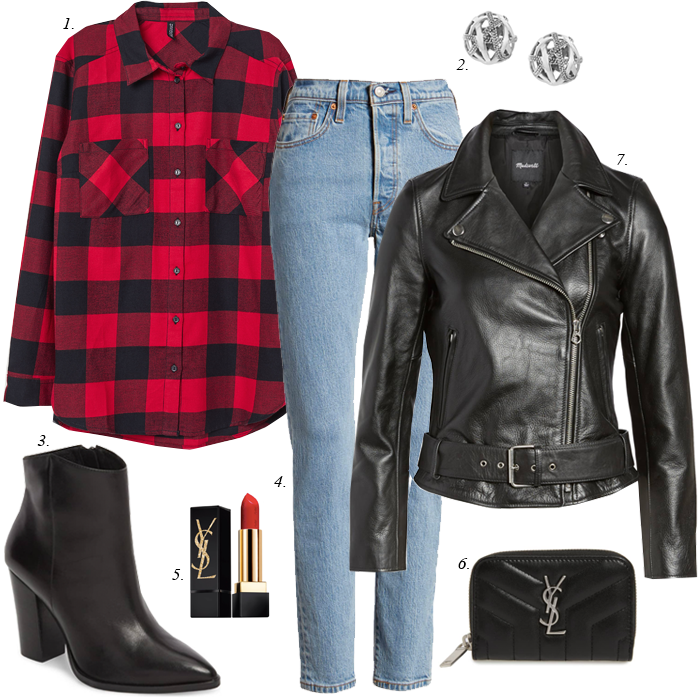 My good friend, Deena, is re-creating one of my style boards! And, I love the look she created. (Be sure to head to her blog to see which look of mine she re-created - and to see the kind things she wrote about me HERE.) Besides great style (and hair), Deena is a supportive friend, and someone I wish was my neighbor - so we could hang out and talk. She has the best personality - makes me laugh - and shares in my love of old school hip-hop/rap music!